Newegg.com charges 30$ to ship 20 6-inch cables – Updated! Alex V., A newegg Customer Service Professional, discovered this blog post and has contacted Michael W. in an effort to resolve this issue. Michael is incredibly satisifed with this resolution, and his faith in Newegg.com has been restored. We commend Newegg and Alex V. for their amazing customer service, and happily reinstate our endorsement that Newegg.com is the web’s best computer hardware vendor. Michael’s response to newegg can be found here. 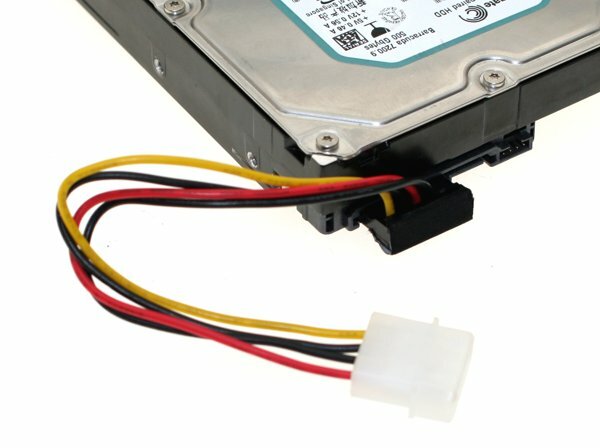 A friend of mine frequently makes all of his computer-related purchases from online vendor Newegg.com. He’s sworn by it for years, so much so in fact that I have made several purchases based solely on his recommendation. This morning, Michael had an incredible time making a purchase when Newegg wanted 30$ to ship 20 6″ cables. Ordinarily, Newegg ships multiple order items together. For example, if I purchase two hard drives and a motherboard, shipping is calculated to ship all of those items together. However, as you’ll see from Newegg Customer Service Member “Tiana”, apparently shipping 20 cables, Newegg says there is a possibility they’ll ship all 20 cables seperately, and therefore need to charge for shipping accordingly. Essentially this prices the order at $39.80 for 20 cables, and $29.48 to ship them on the cheapest method available. That’s a total cost of $69.28 to purchase 20 6″ cables cables that weight next to nothing. Even better, during a chat with Newegg customer service, Tiana chats the wrong message to Michael, apparently because she’s helping too many customers at once. She then ends the chat with a classic “Thanks for calling. Later loser”. You’re welcome to try the linked Newegg.com URL and see for yourself. Tiana has joined this session! Hello my name is Tiana. How may I help you today? I do apologize about that Sir, please give me a moment and see what I can do for you in this matter. For reference Sir, each item that is added to your cart has it’s own shipping prices and once it adds 5 items or more the shipping charges are discounted. If possible can you please provide me with your account information? This way I can review your account and see what we can do for you. The shipping is correct and as a courtesy I can offer you 10.00 off shipping. That is how much we list them for shipping sir. Shipping for that cable is 2.99. If I order 20 cables, what are the shipping costs at that qty level? They cannot be combined as a flate rate because again we charge shipping per item. Once it adds 5 items or more the shipping charges are discounted. so, if I order 20 cables, I will get 20 packages? they wouldnt be combined like EVERY thing else Ive ordered? You may or you may receive them all in one box. We may not have all the cables in one warehouse. *You may or you may not. Thank you very much for holding. Unfortunately your credit card declined again. Since we have verified the credit card information in our system is correct and your card-issuing bank has not authorized the payment, we may need to conduct a manual authorization. A manual authorization consist of us contacting your card-issuing banks merchant line to request an authorization number. There is a slight risk of being double charged. If this were to happen, we will fix it immediately and refund you the 2nd charge… Would you like us to conduct a manual authorization? I’ve noticed that you have been idle for 3 minutes; would you still like to continue this chat? It was not meant for you, I apologize. Do you have any other questions, or is there anything else I can assist you with today? Thank you for visiting Newegg.com. Please feel free to contact us anytime. This entry was posted in Consumerism. on April 17, 2009 by I'm a Super .com.